Las Vegas - At age 40, Manny Pacquiao still wanted to prove that he can bang it with the younger stalwarts of the welterweight division. 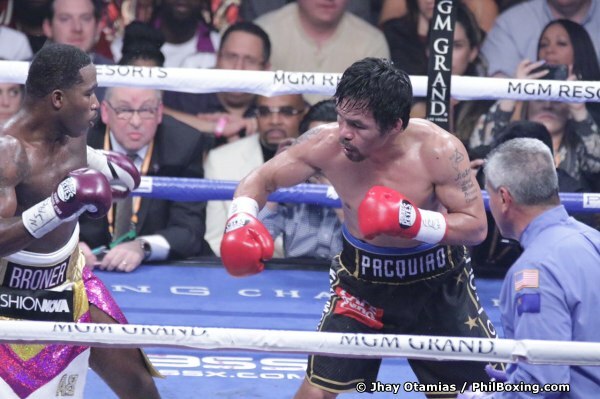 He did just that by dominating his challenger - a younger Adrien Broner over twelve rounds of action for Pacquiao’s World Boxing Association (WBA) title. 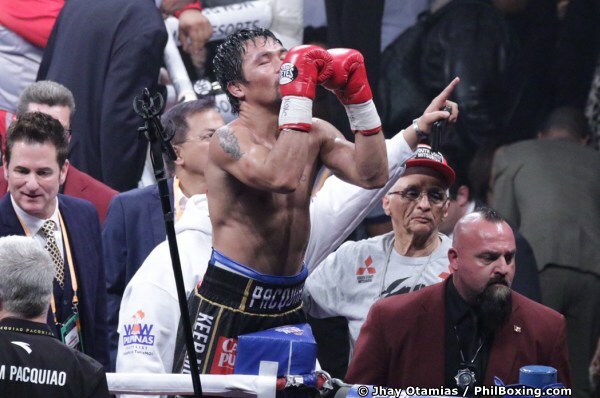 Pacquiao won with scores of 117-111, 116-112 and 116-112 in a tactical contest against a defensive-minded opponent who elected to run after tasting the heavy fists of the Filipino icon in the 5th. 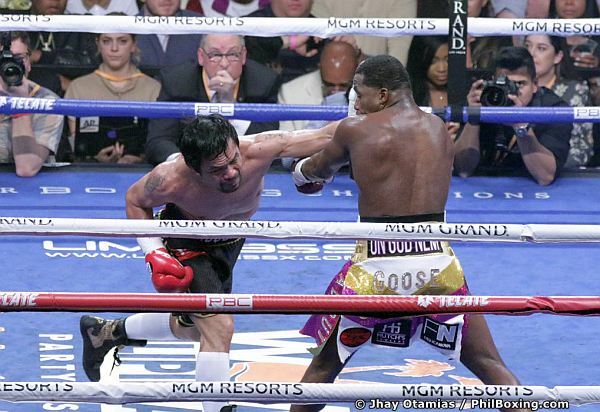 In the seventh round, Pacquiao caught Broner in the ropes, he stunned him with his trademark combinations and Broner almost went down from the onslaught. The 40 year old veteran stunned his foe again in the 9th round. A rocket of a left hand disassembled Broner’s face in midair. He held and bought time to avoid the knockout. It was survival time for the twenty nine year old Broner after that twin mauling in the 5th and 7th rounds. He circled the ring and purposely avoided Pacquiao. He would counter lesser this time and he would distanced himself away from the dangerous fists of his older opponent. Broner was defiant in his loss and argued that he won the fight. He pointed out another famous spectator at ringside as the reason for what he deems as a wrong decision by the judges. “I beat him. Everybody out there knows I beat him. I controlled the fight, he was missing. I hit him clean more times. That money is a rematch of the biggest moneymaker in boxing history. Pacquiao called out Mayweather after his victory. He welcomed another opportunity to avenge his earlier loss to the undefeated retired champion who watched eagerly at ringside. “Tell him (Floyd Mayweather) to come back to the ring and we will fight. I’m willing to fight again Floyd Mayweather if he’s willing to come back to box. 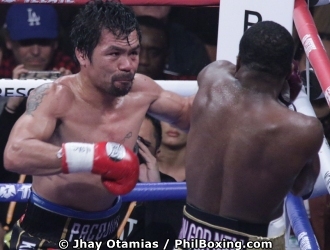 Pacquiao who may not be the speed monster in his prime is still on top of his game. He adjusted mid fight and went to the body when he was missing upstairs in the early rounds. That opened up opportunities for him in the middle of the fight and dominated Broner after that. “I’m so happy because God gave me this good health. At the age of 40 I can still give my best. Although I wanted to be aggressive more, my camp told me don’t be careless and to counter him and wait for opportunities,“ explained Pacquiao after the bout. Not bad for a forty year old.